Vancouver-based ice cream company, Great NW Ice Cream Co., is opening its retail shop in Cornelius next to Jimmy John's. Great NW Ice Cream Co. is preparing to open its first storefront in Cornelius, but owner Ivan Godfrey isn't a stranger to the treat scene in the Portland metro area. Located in the Cornelius Gateway Center next to Jimmy John's, the store will not only sell its ice cream by the scoop, but it will also make all its product on site. The name might sound familiar to some — the business has been a vendor at the Independence Day firework display at Tom McCall Upper Elementary School in Forest Grove for the past three years. Great NW Ice Cream Co. began in Vancouver, Wash., after its original owner, Pat King, moved from the Midwest in the early 1990s. Godfrey met King in 2014 through his father, an artist who sold his creations at Portland Saturday Market, where King was already vending ice cream. "He got wind she wanted to sell her business, and I hated my job at the time," Godfrey said. "It is perfect. He got us together, she liked us and I signed a contract — off it went." Godfrey didn't have experience in making ice cream, but that didn't stop him. "I always loved to cook," he said. "It was easy to pick up." King took a year to tutor Godfrey on ice cream. She prepped him to make the recipes, sell product to restaurants in Portland like the Lloyd Center and Beaches Restaurant, and maintain the Portland Saturday Market booth. Great NW Ice Cream Co. does since operated out of a commissary, and until now, it has not have a retail space for people to buy ice cream. 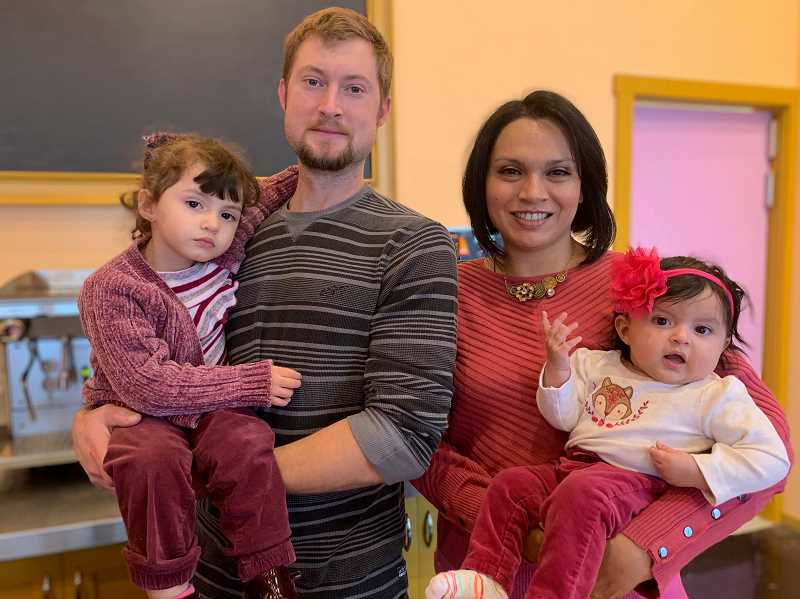 But Godfrey, a 2004 alumnus of Glencoe High School, wanted to establish a physical location closer to him and his family's home in Hillsboro. After overcoming heart surgery and welcoming his son into the world in under a year, Godfrey made some changes and began to rent his grandparents' home in Washington County. "People asked us about (a retail area), and I saw an opportunity there," Godfrey said. "When we first started, I was working for Franz. My wife was making most of the ice cream and I would help on the weekends. It is a lot of work for two people." While the opening has been in a year in the making, Godfrey said he is feeling positive about the work going into the future store. Ana Raya-Godfrey, married to Ivan Godfrey for three years, said she is excited to open in the Cornelius community despite the hoops her and her husband have been through. 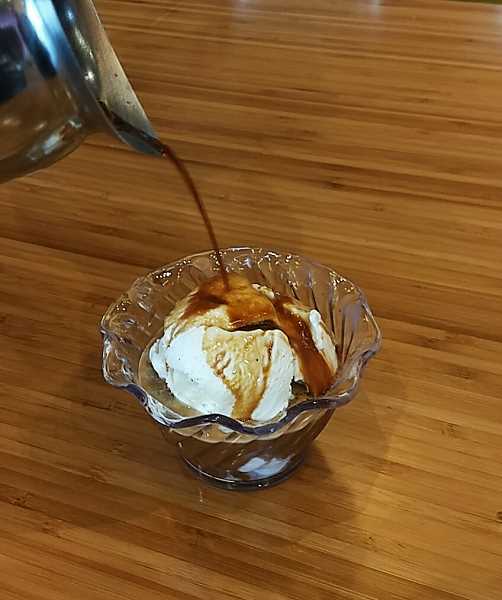 While the shop is opening as winter approaches, Ivan Godfrey said he has hopes for the espresso menu to help encourage people to come out and try an affogato, an espresso shot with an ice cream scoop. The shop will also have about 12 to 18 flavors on rotation, including favorites like Oregon marionberry, as well as banana ice cream with a Nutella swirl. "I feel like with high-quality ice cream, people are always are going to come out," Ivan Godfrey said. "It will be a lot of flavors you can't just get in the stores." While prices are still to be determined, one thing Godfrey can promise: A single scoop will cost $3.50.